Afghan cannabis genetics are the rock solid, green foundation of Cannabis Cup Champions past, present, and future. The rugged, pure-indica landrace strains of Afghanistan are believed to be the first cannabis to be consumed by mankind. Exactly when and by whom are still something of a mystery and the subject of a contentious debate. Recent archaeological evidence suggests that Proto-Indo-Europeans were most likely the first peoples to use cannabis for both medicinal and ritualistic purposes as far back as 30,000 years ago. This controversial theory predates ancient Chinese emperor Shen Nung and turns the idea that cannabis migrated from East to West on its head. Furthermore, evidence of carbonised cannabis seeds has been discovered in Romania that date back to the time of the Kurgans some 5,000 years ago. Think that’s a little far out? The possibility that sativa strains were introduced from parts unknown and through climatic and environmental adaptation evolved into indica strains is another credible hypothesis. There are so many possibilities. Too many “unknown knowns” to factor. Somehow, some way, Kush found a home. For at least the past couple thousand years, it has been the Hindu Kush mountain border region between modern day Afghanistan and Pakistan. These short, fast-flowering, and dark green bushes with oversized, fat-fingered leaves and swollen, resin-dripping buds are still the source of sticky green for the bulk of world’s hashish production - rivalled only by Morocco. Of course, Royal Queen Seeds have used Afghan genetics to develop some of the most potent and productive hybrids. Any cannabis seedbank worth a damn needs at least one Afghani variety. The master breeders at RQS went quite a bit further. Let’s take a closer look at some red hot strains, all of which are packing Afghan genetic firepower. First things first. If you’re gonna name a strain ICE, which stands for Indica Crystal Extreme, Afghan is an essential ingredient. In fact, this frosty hybrid is a real cannabis triple treat with Afghan, Northern Lights, and Skunk in the mix. As you would expect, this is super potent bud that will turn your body into jelly as your mind contemplates munchies. In 8-10 weeks of bloom, ICE will be fully blanketed in trichomes and ready for harvest. Indoor growers are advised to SOG and defoliate some shade fan leaves for max yield. Plants rarely stretch above 1m tall, so pack 'em in. She is thirsty for nutrients and tolerant of high doses. Treat her right and up 450g/m² of iced-out buds can be yours. Simply irresistible to lovers of cannabis concentrates. Special Kush 1 pays homage to the wild mountain Kush of old. Taking Kush back to its roots, the breeders at RQS combined and refined vintage Afghan breeding stock to create a modern classic. With a pack of these beans, you can get really high for a really low price. But make no mistake, this is no bargain basement schwag - this is dank, couchlocking Kush. Visually, Special Kush 1 is the poster strain for old-school, heavy indicas. Cultivated indoors, she is squat and productive, staying under 1m tall. Flowering will finish in just 7-8 weeks. Outdoors in a hot Mediterranean climate, she can really fill out to reach her full potential. 3m+ plants that can produce up to 500g each are possible. 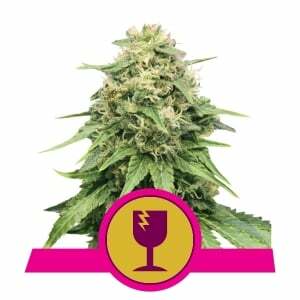 Her rich, earthy-hash flavour and heavy physical effects will convince you she is special indeed. Royal AK is the RQS edition of the legendary AK-47. 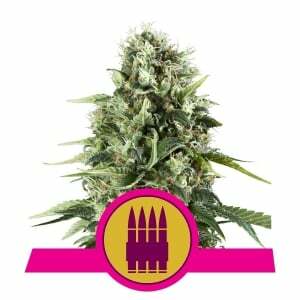 This choice AK-47 cultivar is a high-calibre, sativa-dominant hybrid with looks to kill. Although her high is a bonafide headshot by the look of her tight, orange hair-covered nugs, you could be forgiven for expecting an indica body blow. Afghan genetic influence can’t help but dominate her appearance. Easy to grow indoors or outdoors in warmer climates, this rapid flowering weed weapon won’t keep you waiting either. In 8-9 weeks of bloom, chunky trophy colas of Royal AK will be ready for harvest. Indoor growers can expect about 500g/m² of primo head stash. Best of all, her buds are easy to trim due to her amazing flower to leaf ratio. Northern Light is considered by stoners everywhere as a top-shelf, heavy indica strain. Her heritage is somewhat mysterious, but one thing is for sure: Afghan stock was crossed with Thai to create the couchlocking smoke of choice for indica connoisseurs. Just a few tokes of this rich, full-bodied smoke and your eyelids will grow heavy. Northern Light is knockout nighttime stash. True to her Afghan pedigree, she grows stocky and sturdy, remaining about 1m tall. 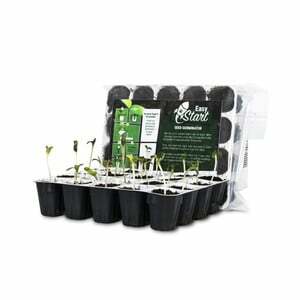 Ideally suited to a variety of indoor cultivation styles from basic organics to advanced hydroponics. Even beginner indoor growers have been known to pull down impressive 500g/m² harvests. Outdoors in a dry, southern climate, she can reach 2m and tip the scale with yields of 500g per plant. If you want the motherload of oversized colas and beaster nugs, it’s got to be Critical. This green monster is beloved by commercial growers across Europe for good reason. Aside from her enormous 600g+/m² indoor yield and comparable per plant outdoor production, she is also uber potent. THC levels can come close to 20%. All this in just 7 weeks of flowering. Critical is a real deal heavy-hitter, infused with Afghan and Skunk genetics. Spicy, peppery, and piney notes will perfume the air and most definitely announce the presence of Critical. Odour control is a must. Her smooth, slightly sour flavour will keep you coming back for more. High humidity must be avoided at all costs in late bloom to prevent a mould strike to her pumped up flowers. If you want the heaviest harvest of hybrid marijuana possible, you need Afghan genetics to bulk up that bud weight. 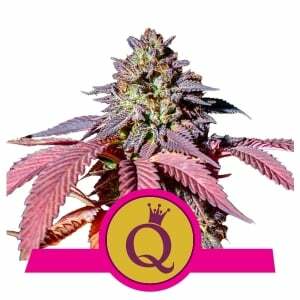 Special Queen 1 is a diverse blend of Afghan, Colombian, Skunk and Mexican cannabis. Not really a diva, rather a space invader. Special Queen 1 delivers a long-lasting, heavy body blow that will sweep you off your feet in large doses. Indoors, she can yield as much as 650g/m². Plants will climb to about 1.5m in height and ooze sticky buds. However, outdoors in good sunshine, Special Queen 1 can grow to a towering 4m stature and produce in excess of 500g per plant. Easy crop fat stash in 8 weeks or less of bloom with Special Queen 1. Cheese is the UK cannabis strain that took the world by storm and put the Skunk family back in the top-shelf modern marijuana class. Royal Cheese is the RQS re-birth of a legend. 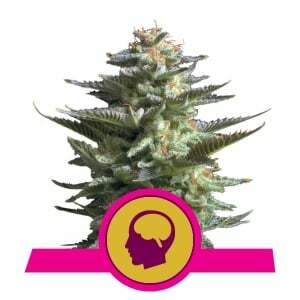 True to her Afghan origins, this heavy indica derived from Skunk #1 is a pedigree specimen. 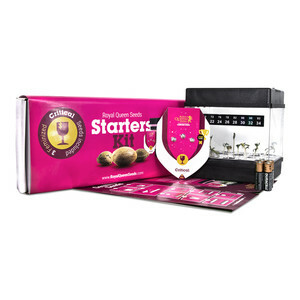 She Packs a balanced head-body high, unique Cheese aromas and flavours into a compact package. Royal Cheese is suitable for beginners as much as it is for Grand Masters in terms of ease of cultivation across a variety of substrates. These stocky Skunk plants are pretty uniform and undemanding of the grower. Flowering is a real sprint to the finish at 6-8 weeks. Take it ham and cheesy in the cannabis garden with a pack of these pocket rockets.